Popular single layer name in Germany. The first part of the name is derived from the fertility of this animal and its frequent occurrence in the vineyards. 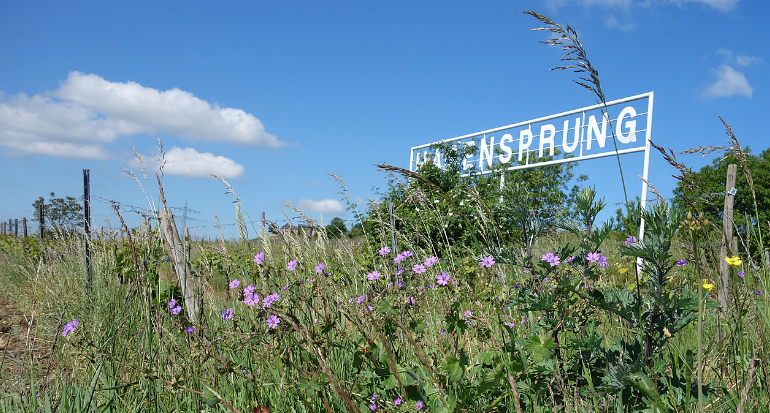 The second part comes from the Middle High German word "spring / jump" and means source, as those in vineyards are often found. The name derives from the fact that previously allegedly the individual fields in this location were just so big that a rabbit could jump over it. Supposedly has a wine of the famous century wine 1811 the poet prince Johann Wolfgang von Goethe (1749-1832) inspired his famous work "West-Eastern Divan". By the Land Consolidation In the 1970s, a good deal of land has been added that can not keep up with the quality of the original core location. Other individual layers called rabbit jumping are also still in the communities or growing areas Dorn-Dürkheim and Jugenheim (both Rheinhessen ), as well as Jöhlingen ( to bathe ). This page was last modified at 26 May 2018 at 11:26.